Dunfermline MSP Bill Walker has expressed dismay at a report by Fife Housing Association (FHA) highlighting the impact and consequences of the UK Government’s “bedroom tax”. Under the changes coming into force 1st April, social tenants deemed to have one bedroom too many will have to pay an average of £9 extra per week, while those with two bedrooms extra must find around £16. 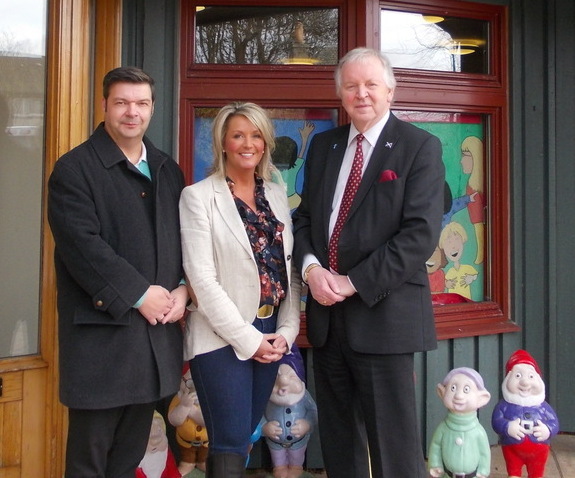 Dunfermline MSP Bill Walker has congratulated the “outstanding” fund-raising efforts of a local businesswoman, after her recent charity fashion shows raised over £21,000 for the Children’s Hospice Association Scotland (CHAS). Laura Campbell, owner of La Vida Boutique in Cairneyhill, managed to sell over 600 tickets for her two shows at Keavil House Hotel in Crossford, exceeding her fund-raising target. Dunfermline High School has officially opened, with pupils performing in a music-filled launch ceremony. The opening began with pipers welcoming guests at the main entrance. Clarsach Duo, consisting of Amy Sinclair and Megan Jarvie, played harp music to greet guests outside the Assembly Hall. That the Parliament congratulates the Saline Environmental Group in West Fife on receiving £90,000 in funding from the Big Lottery Fund’s Community Spaces Scotland scheme, which will be used to construct a pathway between Saline village and Kinneddar Park along with a bridge and fitness equipment en route; understands that the project represents the first phase of a larger initiative to link four communities by providing easily accessible pathways that can be used for access and recreational purposes such as walking, cycling, horse riding and mobility vehicles, and commends the aims of the Community Spaces Scotland scheme to support communities in becoming more involved in their local environment, make better use of spaces and places and become healthier and more active. Friday 15 March 2013 was an historic day for Fife when the Partnership Board, overseeing the merger of Carnegie and Adam Smith Colleges, gave their formal approval of the merger proposal and their commitment to form a new college in Fife. Following a consultation process involving students, staff, stakeholders and employers the Board agreed to recommend that, from the planned Vesting Day on 1 August 2013, the new organisation should be known as Fife College, which was the name supported by the majority of respondents. Saline Environmental Group is to receive £90,000 funding from a total of almost £5m granted across Scotland through the Big Lottery Fund’s Community Spaces Scotland scheme. The grant will be used to construct a pathway between the west Fife village of Saline and Kinneddar Park, along with a bridge and fitness equipment en route. The aim is to encourage local people to have a greater interest in their environment. That the Parliament commends all teams on their performances at the Six Nations Championship 2013; congratulates Wales on retaining the championship with what it considers a magnificent 30-3 victory over England in Cardiff; applauds Italy’s first Six Nations win over Ireland, of 22-15; considers that Scotland gave a creditable performance in taking third place in the championship after a hard-fought 16-23 game against France, and looks forward to a highly competitive and entertaining championship next season. 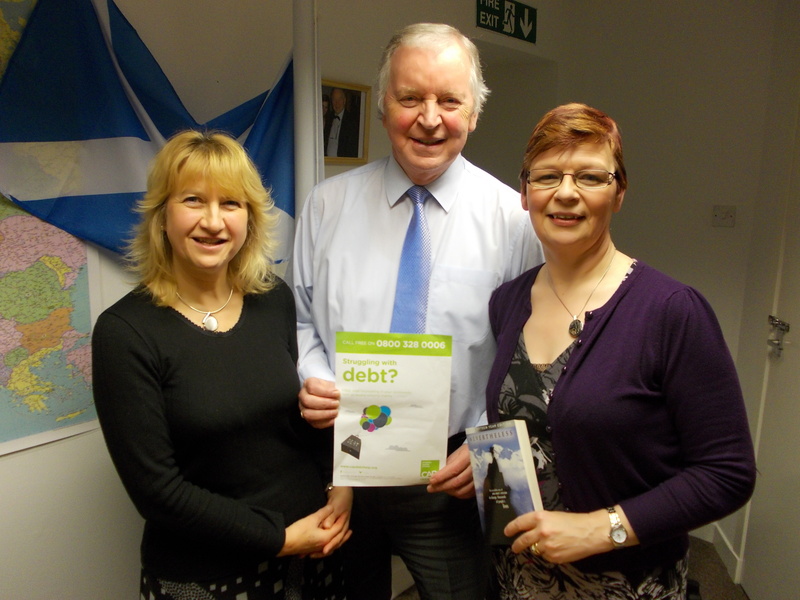 Christians Against Poverty (CAP) recently met with Dunfermline MSP Bill Walker to explain how the award-winning charity’s free service can help Dunfermline constituents escape the misery of debt. The confidential service is available for everyone regardless of age, gender, faith or background. CAP supports thousands of clients each year by negotiating fair repayments with utility companies, mortgage lenders, councils and loan companies, based on what clients can afford. 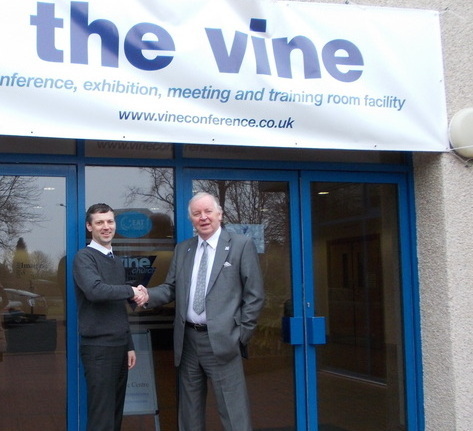 It has a growing network of over 200 centres throughout Scotland and the rest of the UK. 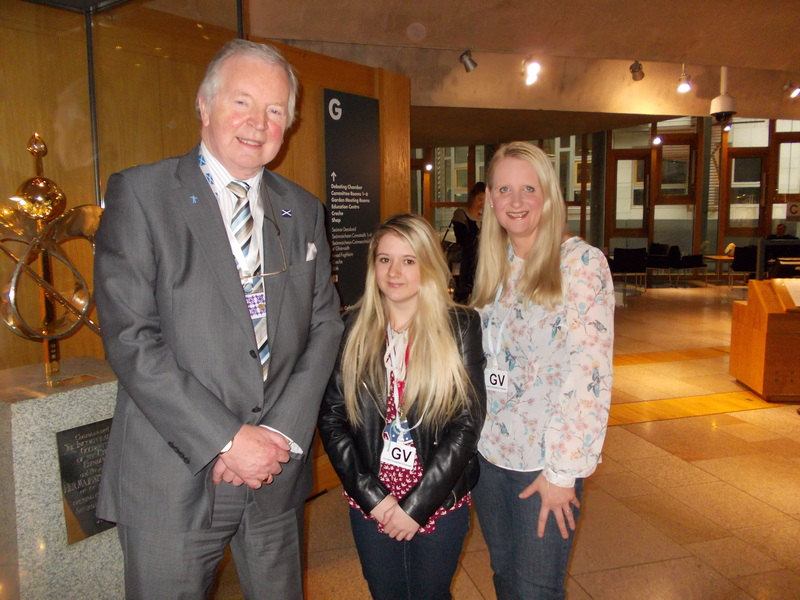 Dunfermline MSP Bill Walker joined Marie Curie Cancer Care at the Scottish Parliament this week to learn more about the work carried about by the charity to provide free end of life care to people with terminal illnesses. 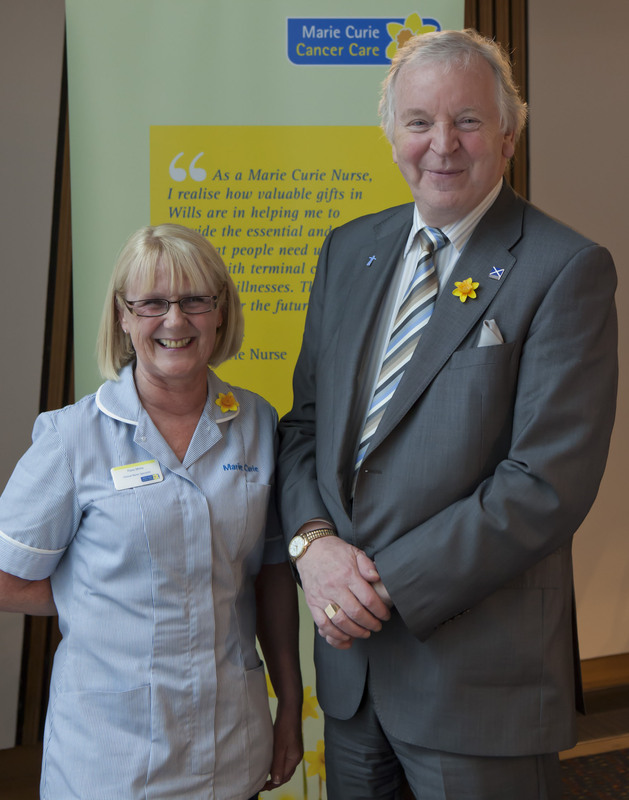 Sporting one of the charity’s daffodil pins in support of the annual Great Daffodil Appeal, Bill Walker spoke to Marie Curie nurses and staff about the free end of life care available to local communities across Scotland. Young volunteers from West Fife Villages have enjoyed a visit to the Scottish Parliament – including a tour, photos with Commonwealth Games mascot Clyde and last minute tickets to watch First Minister’s Questions – following an invitation from local MSP Bill Walker. The group, from Oakley, High Valleyfield and Blairhall, included pupils of Queen Anne and St Columba’s RC High Schools, volunteers on the Blairhall MUGA project, and recipients of the Democracy and Citizenship Award and Fife Council Youth Work Oscars. Bill Walker: To ask the Scottish Government whether and, if so, when it will consider extending the restored Stirling-Alloa-Kincardine railway line to encompass Dunfermline and Edinburgh. Dunfermline-based Duloch Juniors Football Club has received £1,345 to encourage children to participate in training sessions and league matches. The Big Lottery Fund award will purchase goals, cones and football strips. 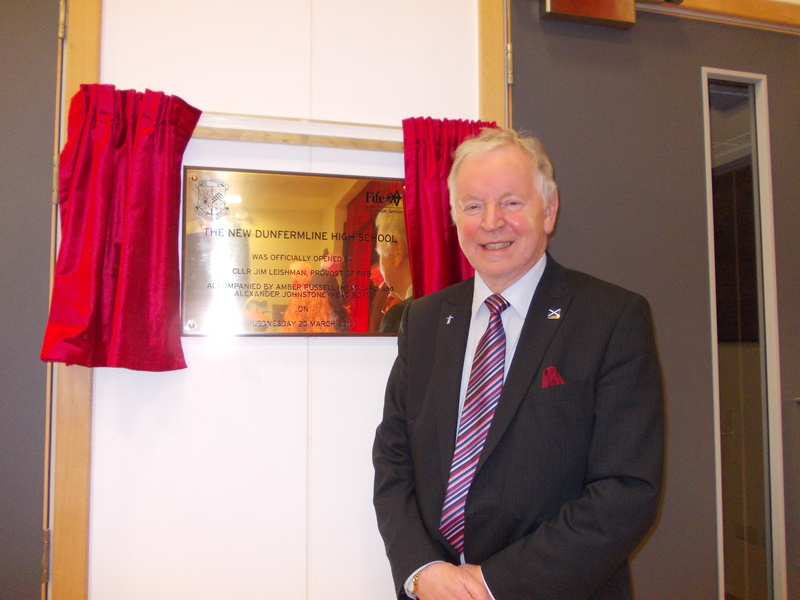 MSP for Dunfermline, Bill Walker, said: “Congratulations to Chairman David MacNamara and Duloch Juniors. Bill Walker: To ask the Scottish Government when realignment will begin on the northern approach to the Kincardine Bridge. Bill Walker: To ask the Scottish Government when reconstruction will begin on the southern approach viaduct of the Kincardine Bridge. 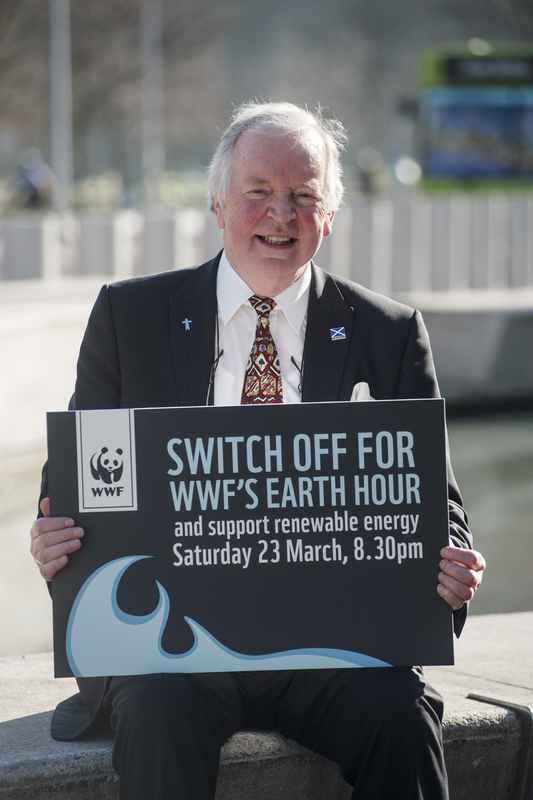 Bill Walker, MSP for Dunfermline, is lending his support to WWF’s Earth Hour on 23 March by switching off the lights and celebrating the power of the planet. As lights are being switched off across the world, WWF is encouraging people to think about the kind of energy we use and where it comes from. By celebrating the power of our planet through renewable resources such as hydro, wave and solar, many MSPs are pledging their support for clean, renewable energy as part of our efforts to tackle climate change. That the Parliament welcomes the launch of Carnegie Touring, a new tour operator that arranges bespoke holidays and excursions in Fife and further afield in Scotland; understands that, in addition to creating itineraries tailored to the interests and needs of individual visitors, Carnegie Touring also offers a range of excursions such as St Andrews, Home of Golf, The Tranquillity of the Highland Lochs and Mountains, From Edinburgh Castle to the Palace of Holyrood and In the Footsteps of Andrew Carnegie, and wishes Carnegie Touring well in its aim to help visitors discover significant locations that can sometimes be overlooked in tourism itineraries. That the Parliament congratulates Dunfermline Pitreavie Athletics Club member Eilidh Child on what it considers to be her magnificent performance at the European Indoor Athletics Championships in Gothenburg; understands that Eilidh won gold in the 4 x 400 metres women’s relay and silver in the individual 400 metres women’s race, where she also recorded a personal best, and wishes her every success in her preparations for the Glasgow Commonwealth Games in 2014. 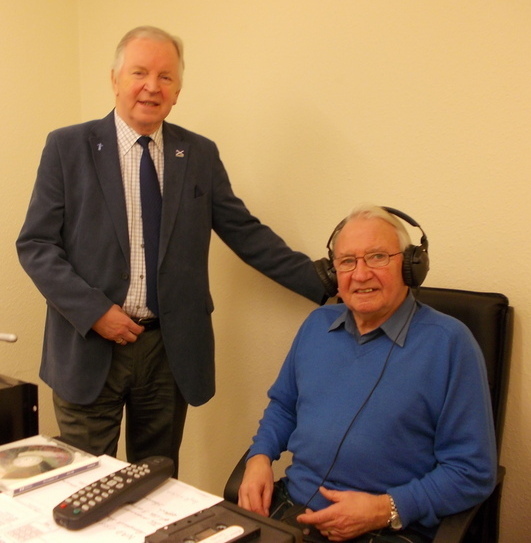 Dunfermline Sound, the talking newspaper for visually impaired people in West Fife, recently interviewed Dunfermline MSP Bill Walker on a range of constituency and Scottish Parliamentary issues. Magazine Editor Jim Jarvie posed questions ranging from how laws are made in the Parliament to why there are apparently so many empty seats in the Chamber. Scottish independence was, of course, a talking point.